Van Doren, Charles. 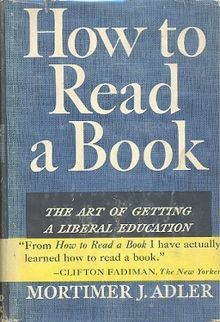 How to Read a Book (A Touchstone Book) (p. 399). Touchstone. Kindle Edition.